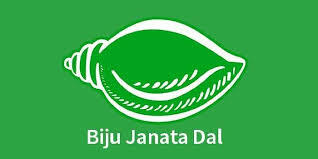 Bhubaneswar, April 11: With the 57 per cent polling in Odisha recorded till 3:30 PM in the first phase in Lok Sabha Elections, Biju Janata Dal has taken over Bharatiya Janata Party and written to the Chief Electoral Officer alleging that BJP violated Model Code of Conduct by giving Press meeting today and the details of the same are being provided in Scrolling News on OTV. In a letter written to the EC, BJD wrote, "As per letter No.3/ER/2018/SDR/VOL-1 dated 15 March, 2019 by Shri. N.T. Bhutia, Secretary, Election Commission to all recognized State Parties, a copy of which is enclosed, in Sl. No.4 of the said letter it is stated that 'during the silence period, star campaigners and other Political Leaders should refrain from addressing the media by way of press conferences and giving interviews on election matters'." Odisha Lok Sabha Elections 2019 and Assembly Polls: 57 Percent Voter Turnout Till 3:30 PM in First Phase Polls. Adding on, it wrote, "However, it was shocking to note that BJP and its leaders Samir Mohanty has given a Press Meet today afternoon. Further, OTV has been scrolling the content of this Press Meet continuously from 2 pm onwards. We look forward to your immediate intervention in this regard." The four LS constituencies voting today are Kalahandi, Nabarangpur, Berhampur and Koraput. It is interesting to note that along with these four Lok Sabha constituencies, the citizens of Odisha will also decide the who their MLA from 28 assembly seats will be. This is due to the fact that the 2019 Assembly Elections will run concurrently with the Lok Sabha Elections in the state.